The Grand Jury’s history stretches back 1000 years to the time of the Norman King William when he crossed the English Channel in 1066. As conqueror of a new land, William thought it wise to inventory his kingdom. He gathered a group of knights and freemen, titled the “Jure Gran” or “Grand Jury” and sent them throughout the country to gather information. A century later, King Henry II resurrected the Grand Jury concept when he gathered a group of respected freemen to act as an accusing jury or “jury of presentment.” Absent the King’s circuit-riding judges, this body investigated charges of criminal misconduct. When the judge arrived, they presented him with indictments against the accused. United States Constitution, the Fifth Amendment adopts grand jury from common law. The United States Constitution’s Fifth Amendment and the California Constitution call for grand juries. Throughout history, there have been actions to abolish the Grand Jury. The sentiment is still alive today. Yet the Grand Jury is the only remaining institution not answerable to the administration, the politician or the legislator. It is the “ombudsman” or “watchdog” of the public interest. Those who appreciate and believe in the need to maintain this peoples’ panel must guard it by responsible conduct. In the United States, Grand Juries were established to protect citizens and society and to keep a watchful eye on certain aspects of government. 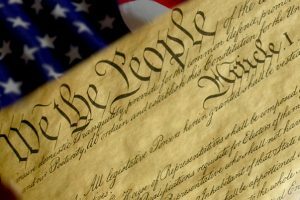 In 1791 they became part of the United States Constitution, the Fifth Amendment and Grand Juries became part of the California Constitution in 1879.